Selectively order a product from a supplier other than your default supplier. Go into the catalog and select the item you want to order. 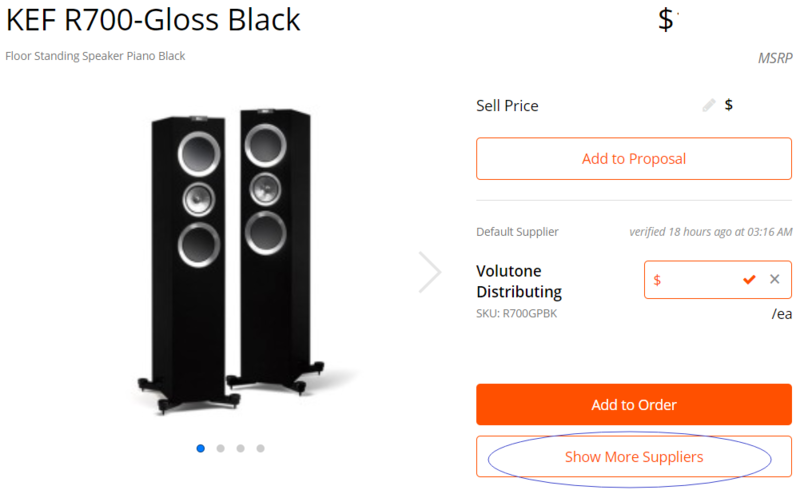 Once you're on the product details page, select Show More Suppliers. Next, select "Add to Order" on the Supplier you'd like to order from. You can then choose to create a new PO for this item or add it to an existing order. If your supplier is missing, scroll to the bottom and select Add a Supplier. You'll then be prompted to choose the new supplier. Locate the supplier you'd like to add to the part, manually enter your dealer cost, and then the option to add the item to orders will appear.